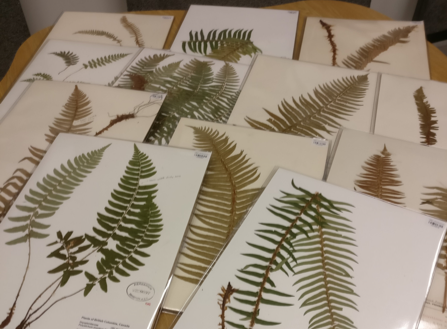 » Home » 2018 » March » 22 » Herbarium Collection BioBlitz! Undergraduate student using a research specimens to better understand species variation and the importance of collections. One of the most interesting things I found when I first started as curator, was to realize that we did not have a full inventory of our collection! We know we have over 700,000 specimens so it’s not an easy task to find gaps in our collections. Imagine that, not knowing what you have in your museum collection. I also found it interesting is how many people didn’t know what an herbarium does, why they house specimens, and so many of them, and what the specimens can tell us. Even more surprising was how many UBC Biology Undergraduate students find out about us until their last year, which to me is too late. 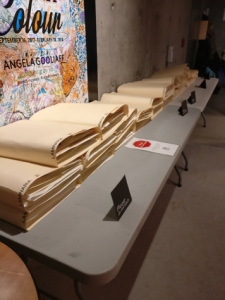 I had been pondering these conundrums since we opened over 7 years ago and wondering if there was a way to make my two dreams become a reality; exposing 1st year UBC undergraduates to the collection while gathering more information about our collection. Just this summer, we hired an amazing instructor, Dr. Bridgette Clarkson, (co-author of Pacific Seaweeds: Updated and Expanded Edition) who made my dreams come true. A Collection BioBlitz! 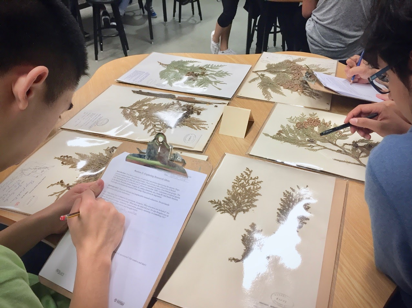 We invited first year students to our collection, to learn about collections, species variation, and taking good field notes and in return they gave us 20 minutes of counting specimens. 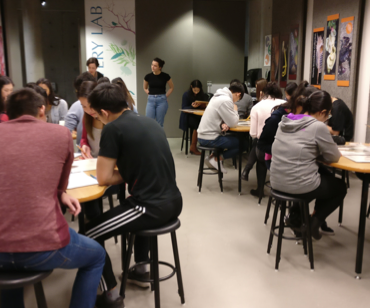 UBC 1st year Undergraduate students working with research specimens to better understand species variation, taking good notes, and how specimens are used in research. Some of these specimens are 120 years old! 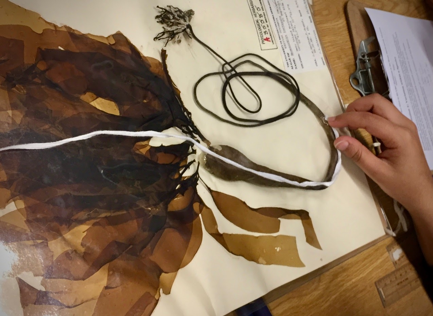 Specimens used for student’s collection activity, Nerocystis luetkeana (bull kelp, left) and Polystichum munitum (Western sword fern) and the species the students inventoried during our Collection BioBlitz! Specimens waiting to be inventoried by students. Since this was a pilot year we had no idea what the students would gleam from their visit or what how much they could inventory in the time given, but the results (so far) have been pretty amazing. We had Science One and Biology 121 students work on a species variation and label data activity and then they gave us 20 minutes of counting. 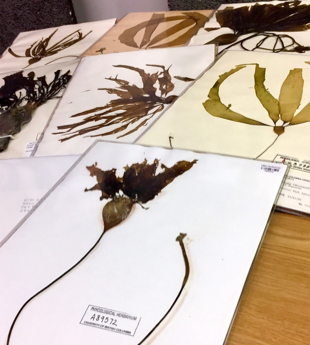 They also have stated that this activity has changed the way they think of species variation and natural history collections; with many stating they will remember this experience for years to come. We still have lots of analysis for the two student activities, but we do know we were able to inventory nearly 4,500 specimens in less than 4 hours and found 30-40 specimens that were un-accounted for! We have lots to go, but this is a great start to a very positive experience for all.